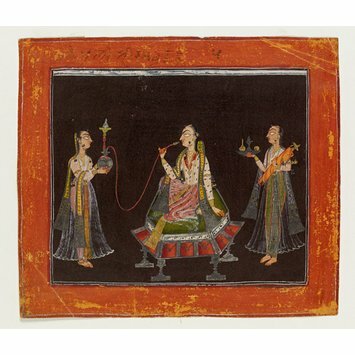 Painting, in opaque watercolour on paper, from a 'first' Pahari Ragamala series, illustration to the musical mode bhupali ragini. 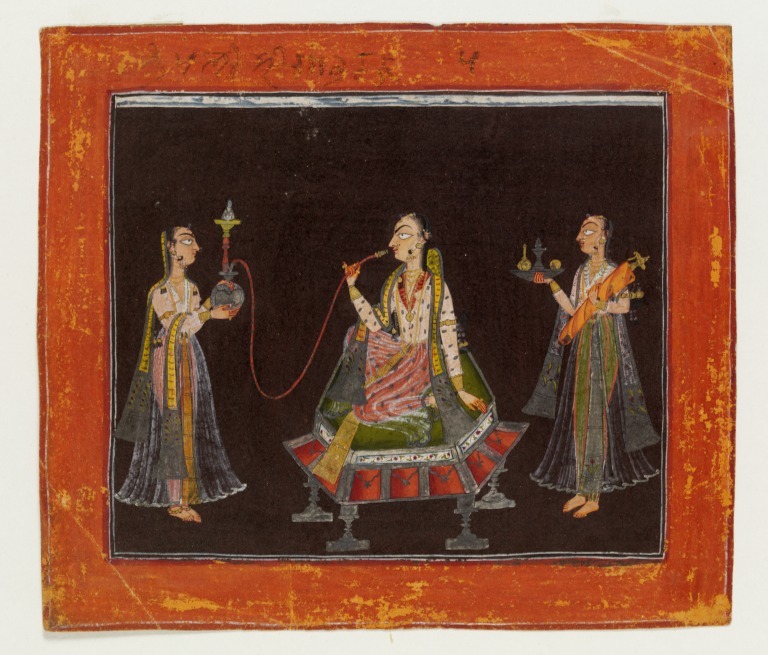 A princess in red striped trousers and a yellow and silver scarf sits smoking a huqqa. Two maids wait on her, one holding the huqqa bowl and the other a sheathed sword, a dish and a cup. Background dark-brown. p. 41, cat. no. 9.